There’s no question that many people highly value stylish and practical writing instruments. The Trodat Goldring range skilfully unites style and function to meet this requirement. 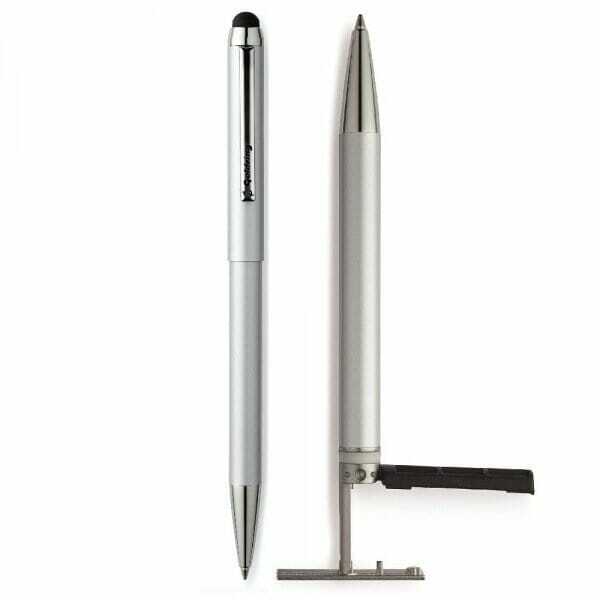 The high-value writing instrument and functional stamp combine to complement one another perfectly in numerous applications. In addition, the stylus allows a simple and clean use of all touch screen devices such as tablets and smartphones, or any device with a touchscreen. Maximum size of the stamp textplate is 33 x 7mm. Maximum number of lines of text on the stamp is 3. Customer evaluation for "Trodat Goldring Smart Style - chrome"